Supreme Court seeks response from states along with Centre to prevent attacks on Kashmiris after the Pulwama terror attack. 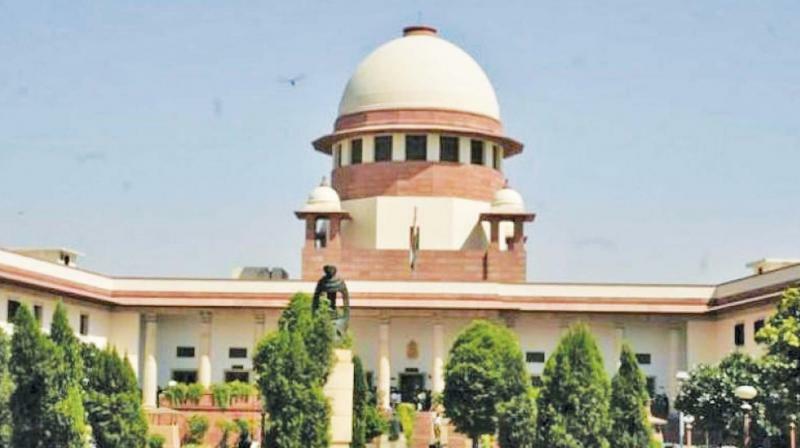 New Delhi: The Supreme Court instructed the Centre and 11 states to take prompt action and prevent any assault on Kashmiris as a result of the Pulwama attack. The Supreme Court sought the response of states – where assaults have been reported – and also the Centre on a plea by one Tariq Adeeb who asked it to intervene in the matter. A bench headed by Chief Justice Ranjan Gogoi also directed that police officers, who were earlier appointed as nodal officers to deal with incidents of mob lynching, would now be responsible to deal with cases of alleged assault on Kashmiris. The bench asked the Union Ministry of Home Affairs to give wide publicity to nodal officers so that they can be approached by those facing such incidents. “The chief secretaries, the DGPs and the Delhi Police Commissioner are directed to take prompt and necessary action to prevent incidents of threat, assault and social boycott against Kashmiris and other minorities,” the bench, also comprising Justice Sanjiv Khanna, said. The chief secretaries and director generals of police (DGPs) of Maharashtra, Punjab, Uttar Pradesh, Bihar, Jammu and Kashmir, Haryana, Meghalaya, West Bengal, Chhattisgarh and Uttarakhand, and the Delhi Police commissioner were directed by the apex court to prevent incidents of “threat, assault and social boycott” of Kashmiris, including students. Senior advocate Colin Gonsalves, appearing for the petitioner, claimed 10 more incidents of assaults had taken place in various states after filing of the petition and necessary directions be issued urgently to stop them. Attorney General (AG) K K Venugopal, appearing for the Centre, said the ministry had issued the requisite advisory to states and Union territories (UTs) on this issue on February 17. “The Centre has already issued advisory to all states and UTs on February 17 but we can't tell the states about the specific actions that can be taken in such cases because law and order is a state subject,” the AG said. Taking note of the submission, the bench referred to its earlier decision by which it had asked the states and union territories to appoint a senior police officer as nodal officer in each district to deal with cases of mob violence. It said the police officers will deal with the incidents pertaining to Kashmiris and other minorities in these states in the wake of the recent terror strike. The bench has now listed the matter for further hearing on next Wednesday. The plea had sought a direction to the Centre and other authorities for prosecuting people engaging in hate speech, and to appoint a nodal officer in every state and union territory, including politically-sensitive districts, to prevent acts of violence, discrimination and vigilantism. It had also sought immediate setting up of a nationwide helpline number and a website containing contact details of the nodal officers appointed in politically-sensitive districts. "There is a sudden rise in incidents of crime against Muslims and Kashmiris after the Pulwama terrorist attack in which over 40 soldiers were killed... Immediately after the attack, mobs and vigilante groups engaged in vitriolic hate speech and began attacking, and threatening Muslims and Kashmiris throughout the country, the petition said. “These incidents are a part of organised hate campaign against Muslims and Kashmiris, most cases which are fabricated and the hysteria that now surrounds India has been engineered to gain political mileage. The extremist groups have led vigilante mob attacks across the country to enforce nationalism by leaders of various groups who claim to promote and instigated hate crimes," the petition read.